The information was released this Wednesday by the « Los Angeles Times » before being taken over by the « Washington Post ». The two US newspapers refer to comments made by the Mayor of Los Angeles that his city would be in step with the organization of the Olympic and Paralympic Games in 2028, after discussions with the International Olympic Committee (IOC). The bid is all but done. We have won ». 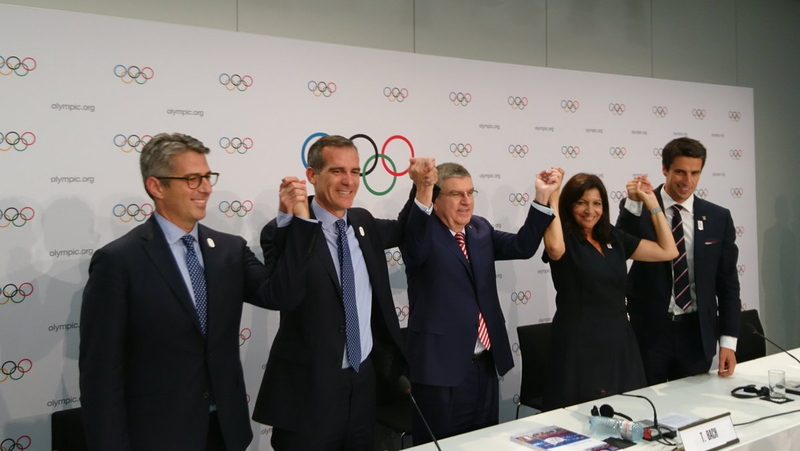 With this brief statement by the Mayor of Los Angeles – re-elected in the spring – the US bid is enthusiastic about concluding a partnership agreement with the IOC. For several months, LA 2024 had based its communication on this strategy of a lasting partnership with the Olympic institution, subtly playing the card of openness facing the firm position of Paris 2024 bid. Implemented by project developers – in particular Terrence Burns, Director of Marketing ; Jeff Millman, Director of Communications ; and Gene Sykes, CEO of the bid – this strategy must make it possible to secure the Olympic model for the next eleven years, a model that would therefore benefit both the Host City and the IOC. As a result, Los Angeles would re-establish a trusted partnership established at the 1984 Games for which she was the only contender. In addition to joint programs with the IOC – notably in the field of education related to the LA84 Foundation’s actions – the Los Angeles bid could be awarded an unprecedented financial contribution. For example, if Tokyo 2020 Organizing Committee has received $ 1 billion contribution from the IOC, the Host City of the 2024 Games is expected to receive between $ 1.5 billion and $ 1.7 billion, which could mechanically lead to $ 2 billion for the Host City of the 2028 Games. Other advantages could allow Los Angeles to emerge as the winner of a three-party negotiation that was adopted during the 130th Session of Lausanne : the duration of use of the Olympic rings and symbols could indeed be extended. Is not negligible, especially with regard to the field of marketing. Indeed, if the IOC allows Los Angeles to open discussions with potential partners sooner than usual, the program sponsors of the American project could exceed the forecasts previously established. In February 2017, the bid was estimated at nearly 1,761 billion sponsorship revenue from 52 potential partnerships. These two data could therefore be higher than the estimates for an agreement for 2028. In addition, in its Bid Book, Los Angeles 2024 had judiciously pointed out that « the United States sports market is the largest and most robust in the world. 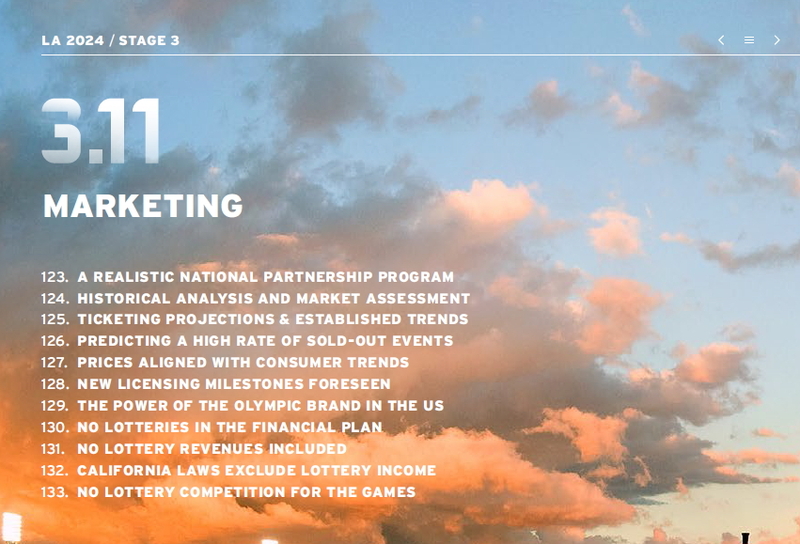 The financial turnover of the overall US sports market is estimated at more than USD 250 billion for 2015 ». A more formal communication should in any case intervene as early as next week on the side of the City Hall of Los Angeles. This will undoubtedly make it possible to clarify the position of the American candidature and, perhaps, to give concrete elements concerning the content of the exchanges with the institution of Lausanne (Switzerland). 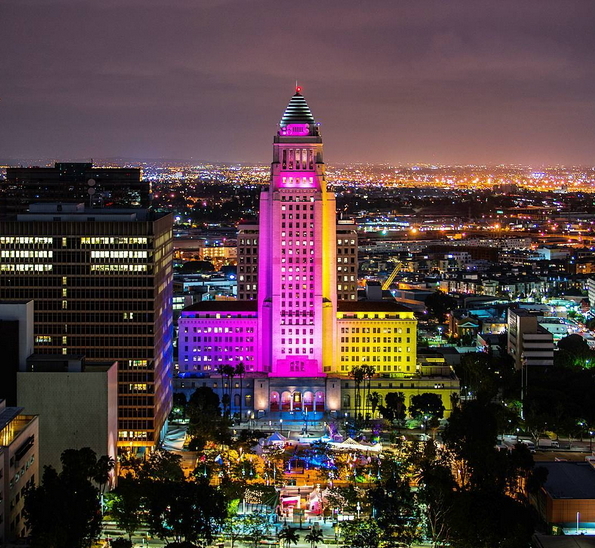 If the comments of Eric Garcetti are confirmed, the Contract City-Host for 2024 and for 2028 should then be submitted to the two candidates, namely Paris and Los Angeles. At the same time, the City Council of the « City of Angels » will be called upon to decide on the guarantees to be provided – on the venues and especially the financial program in the event of cost overruns ($ 250 million) – for the viability of the 2028 model. The State of California will also be asked to confirm the expected level guarantees ($ 250 million). With 97% of existing or temporary venues and the upcoming delivery of Inglewood Stadium (100,000 seats), Los Angeles will undoubtedly have a comfortable margin to modernize its transportation system or to renovate the UCLA campus to make it more accessible to people with reduced mobility and meet Olympic and Paralympic requirements. « Mayor Garcetti does not believe that waiting four more years would increase our risk profile. Whether we host in 2024 or 2028, our low-risk plan remains the same – using existing infrastructure, and controlling costs » said the spokesman Alex Comisar. This clarification is not insignificant, while some might consider 2028 as a higher-risk maturity, given the economic uncertainty over such a long period.